Over the past 10 months, Digication has been collaborating with student and faculty ePortfolio users to bring you the New Digication ePortfolio system. We now feel that development for New Digication ePortfolios has reached a point where we can follow the same release pattern as other Digication products. 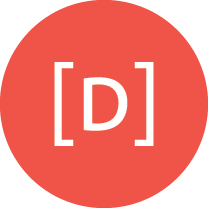 Starting on August 10th, 2017, Digication will provide a (2)two week notice for any user interface or logic changes, or we will provide a per-user or per-system option so Administrators can choose exactly when to release any new features.The exception to this will be if there are any security or stability emergencies that need to be addressed. In general, smaller changes such as button positioning will be announced in a two week notice while larger changes such as new features will be an option that can be enabled. With this change, you will no longer log in to Digication and unexpectedly find new features. Administrators will be able to create their training materials with confidence and release features on their own schedule. We hope this change will help provide a better transition period from semester to semester. We appreciate all the feedback we've received, and continue to receive, for the New Digication. Your input guides our development to deliver the best possible ePortfolio experience.